Being someone who loves fitness and works out 4-5 times a week, I was very excited to help D1 Sports build a catalog of images for their franchise of over 25 locations. 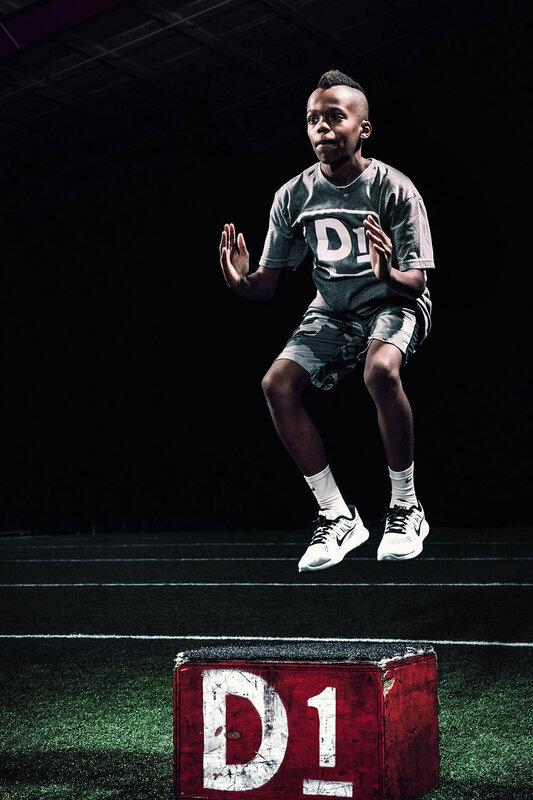 D1 specializes in preparing people of all ages to be elite athletes. We used actual D1 members rather than models and we shot this at their Nashville/Franklin location. 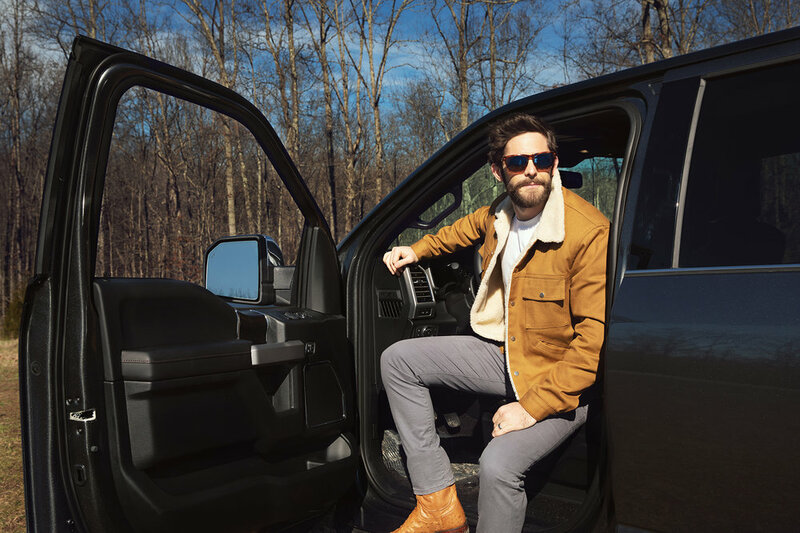 I had a fun time recently shooting country musician and all-around great guy Thomas Rhett for Ford. Thomas had been a long-time Ford truck owner ever since he got his first F-150 when he was young. We shot these at his property south of Nashville. Capturing artists in their element is one of my favorite things to shoot. An artist working on their music in a recording studio reminds me a lot of the time that I spend in my photography studio creating my photos. Here's a few photos from some recent shoots that I've done in various recording studios... First here's a screen capture from Canon's web site of a photo shoot I did for them of Mat Kearney. It was truly an honor to shoot for Canon, a company I've been loyal to for almost 15 years now. And of course Mat was super to work with. This shot was taken at his home studio in Nashville. Next up is one from a fun shoot I did with Cole Swindell at Sound Emporium Studios in Nashville. Cole was a very chill and easy to hang with person. He made it a lot of fun. And then I spent the day with Gavin Degraw shooting him for Snapple. Gavin was a hilarious and super fun guy to work with. I could have sat and listened to him telling funny stories for hours. And lastly here's one of Atlantic Records artist High Valley that I shot at Dark Horse Studios in Franklin, just south of Nashville. To say that these 2 guys (who are brothers) are fun, is an understatement. The day was filled with laughter and it made my job a lot easier. I spent the first part of my life in the New England area (Boston, New Hampshire, Maine) so I'm naturally a fan of the Red Sox, Bruins and Celtics. I have however never been a fan of the Patriots. I can't explain why; they just never clicked with me. I moved around a lot over 11 states, but it wasn't until I moved to Nashville that I finally found an NFL team that I felt like I could call my own. That team was the Tennessee Titans. So I was super excited when the Titans called me to take the player photos for their 2018 season. What made it even more special was the fact that the team was getting brand new uniforms designed by Nike. 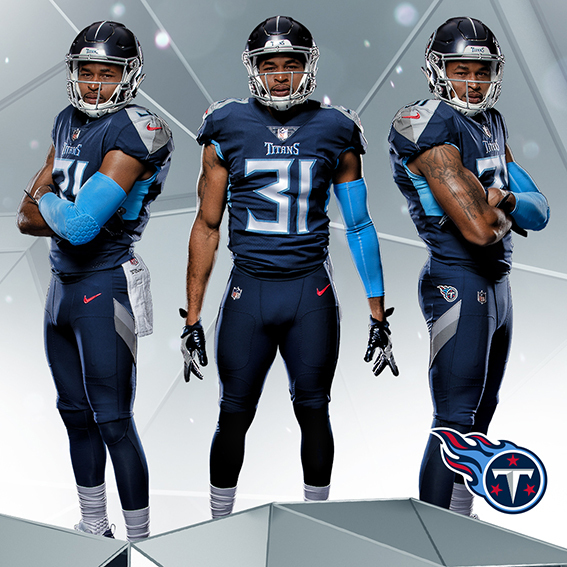 There was a lot of buzz, especially around Nashville, about the new look of the uniforms. Rumors were flying, and all of them were wrong. I was brought in to shoot the new season in the new uniforms. It was great to be one of the first people to ever see the new looks. Here's a few of the photos. Be on the lookout for more of them everywhere. You'll see them on TV, in print, online and of course on the sides of Nissan Stadium. I've shot Chris Carrabba a few times, both with him and his full band. This year he released his 7th album as Dashboard Confessional; his first in 8 years. I was stoked to shoot him and the band once again for this historic release. Dashboard pretty much created a whole genre of emo-influenced music that has had massive repercussions on artists that came after. For this latest shoot we did most of it at my studio outside of Nashville. I wish I could show more photos that aren't being released yet. Some of my favorites probably won't be rolled out until later in the year. I've been meaning to write this post for awhile now. I visit a few photo forums, Facebook groups dedicated to photographers, etc. If I see one recurring theme over and over it's photographers complaining about how "everyone with a camera now thinks they're a photographer." The statement arises from (mostly wedding & portrait Photographers) losing jobs to newbie photographers who last month were a barista or working at Best Buy. I understand the frustration of an ever-growing and crowded photo market, but many of these people feel it's ok for them to go from being a cashier to a photographer, but not for anyone else to do it. Time and time again I've defended new photographers entering the market. You can't blame someone for falling in love with photography and realizing they can actually make a living off of it. But in the midst of this conversation one term comes up a lot that really bothers me. That term is "Momtographer." A Momtographer is a word used almost always in a derogatory way to mean someone who is "just a mom" but who "fancys themselves a "real photographer." I read things like "I lost that wedding to a momtographer who probably doesn't even know how to use her camera on anything but auto mode." Or I cant believe they went with that lady; she's just a mom with a camera." The assumption is clear; if someone is a full-time, stay at home mom then they lack the experience, skill or talent to become a real photographer and should leave it to the "pro's"
There's a couple points I'd like to make. First of all I've always said that I'd rather have the eye and instincts of a great photographer than all the technical knowledge in the world. To have both is ideal, but creativity and fearlessness trumps perfection every time. Many of these Moms have yet to perfect the technical, but can blow away some of the more seasoned people with their amazing ability to capture beautiful moments. They've been shooting photos of their kids for several years before they get the opportunity to actually make money doing it. The second point is the obvious (or maybe not) sexism in the word momtographer. I've never ever heard a guy being called a "dadtographer. If a father suddenly decides to make a life change and become a photographer he's just a new photographer. It's always struck me as odd, the lopsided ratio of male to females in the world of commercial photography. I've seen some women with such an amazing eye and instincts that it puts a lot of guys to shame. I believe women many times see things differently than men and bring their own set of strengths to the table that a man doesn't have. I also believe men do the same in our own way. I've heard story after story about women who walk into camera stores and get treated like second class citizens or idiots by men working There. I have a theory as to why this is. In my opinion you have guys who have spent years trying to learn everything there is about cameras and all things technical related to photography and they've yet to realize their dream of being a professional photographer. So in walks a mom with her kids in tow looking to buy the newest $5,000 camera. The guy behind the counter says to himself "I can't believe this mom thinks she's a photographer; she didn't even know the difference between a CMOS and CCD sensor. So because she's a working photographer, has a few questions that he of course knows all the answers to, but he's woking retail for $10 an hour, he instantly becomes bitter and treats her with contempt. Thirdly; what does being a mom have to do with any of this? How is a single, childless woman who leaves a job to become a photographer different than a woman who finally after her 2 kids start school decides to become one. This woman with kids has done a very hard and demanding job ensuring the safety, feeding, discipline and nurturing of live human beings. To me that qualifies someone to run the set on a large advertising shoot from top to bottom. So let's leave the word momtographer behind, at least in the derogatory sense and give these women the respect they deserve. I guarantee any woman with even one child works harder than you, no matter what job you have. And many of the skills she's acquired doing so make her perfect for a photographer, especially for people's life events. 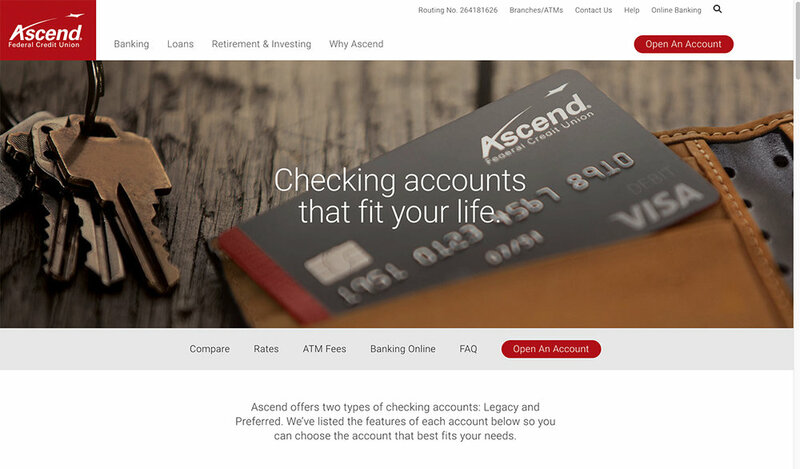 These photos I shot are just now getting released in ads so I thought I’d share some of them here. This was a lifestyle fashion photo shoot I did for the Patricia Nash brand. My team drove from Nashville to Knoxville a couple of months ago to do this shoot. It was freezing that day, but these models were pros and did an amazing job. Patricia Nash is an amazing fashion line focusing mainly on handbag and shoes, although they are venturing into other areas as well. This was a day shoot with 2 locations; one at a marina just outside of Knoxville and one at the company's headquarters. I do quite a bit of fashion photography for clothing lines in Nashville and elsewhere. As someone who used to own a small clothing company in Southern California, I love fashion and fashion photography. AVVAY is a new web site created by folks right here in Nashville that is kind of like airBNB, but for creative spaces. So if you're a photographer, painter, dancer, sculptor, etc. you can go to the AVVAY web site and look up homes, barns, studios, garages, etc. where you can perform your craft. I discovered it right before I was doing pre-production on a photo shoot for one of my clients PedalTrain. For the shoot we were looking for either a recording studio or a band rehearsal space that looked like it would be owned/used by both a young aspiring band or an already established one. In my many years of shooting in Nashville I had been to several studios and rehearsal spaces. But until I found AVVAY I never knew about places like The Silent Planet, where we ended up shooting at. The shoot was huge success, due in large part to the amazing space I found on AVVAY. Check out the blog they wrote about it from their end. The transaction between me and The Silent Planet was the first one for AVVAY. If you've got a space of any kind that you think creatives could use, sign up on their site. They will be expanding to other cities beyond Nashville soon. Here are some of the images from the photo shoot. Nashville is considered by many to be the healthcare mecca of the U.S. Nashville's healthcare industry is much larger than it's music and entertainment ones. Because of that I end up shooting a lot of healthcare photography both here in Nashville and all across the U.S. I just launched a new portfolio section called Healthcare Photography for Advertising. I've shot healthcare photos for several years now but recently decided I should have a portfolio for some of it. It's very different shooting people in a hospital environment and also a great privilege. To have people trust you enough in their vulnerable moments is not something I take lightly when shooting the photos for hospitals and healthcare companies. I've been a full-time photographer for over 10 years now. Due to me basically throwing away the first 21 years of my life, I never went to college. So when I became a photographer I had to teach myself everything. Back then there's were little in the way of online tutorials or blogs that walked you through the process of becoming a photographer. Not wanting to be a hack; I would sit on the floor of book stores in Nashville and learn all I could about the art and craft of photography. Fast forward to today and as many people are fond of saying "everyone is a photographer now." The field of photo making has definitely become very crowded with people buying their first camera and then literally the next week being paid to do a shoot. Due to the sudden influx of these new photographers many older, established professionals look down on, make fun and fear these "newbies." They act like the old guy telling the young kids to get off his lawn. They bemoan about how these young people are destroying the culture and business of photography with $500 photo shoots. I personally welcome any new/young photographer into the field. We all had to start somewhere; none of us entered the scene knowing half of what we should have. But what does make me sad is the way photography is being understood by so many new shooters. As well as talking to photographers in Nashville, I belong to several photo groups on Facebook, Google + and others. These are places where new photographers post work to be seen and critiqued by others in the community. What I've seen for the last few years is a heavy emphasis on gear and lighting. Someone will post a great photo and all anyone wants to know is "what lens did you use?" Which brand of lighting was it" What camera did you shoot it with", "What f/Stop did you use? ", etc. I never see anyone ask "how did you get the person to smile like that?" "What's the story you were trying to tell?" etc. In these groups if a photo is even the slightest bit soft, out of focus or shadowy it gets berated as a bad photo. Meanwhile any photo, no matter how boring, stale or hum-drum it is gets raves upon raves if the lighting is "technically perfect" or there's a "nice bokeh." Basically, someone will post a photo of a girl standing with a bland pose, no emotion, nothing to draw a person in, but the background has pretty, blurry bokeh and people will say it's the greatest photo they've seen all day. I've never been a big fan of photo schools because A) I never went to one B) I've heard a lot of people talk about how much they focus on fine art and not on commercial photography. But I'm recently changing my mind on the subject. I know see that without a proper education in the history and fundamentals of photography a person can easily think it's all about what brand of gear you use or how technically perfect you can light a shot. A photo school won't teach you everything you need to know to become successful, but the foundations are essential to the story telling that is photography. For those who can't go for one reason or another; do what I did and park yourself on the floor of a book store and learn all you can. I haven't always lived in Nashville and I haven't always been a photographer as a career. I have a lot of people ask me all the time how I first got into photography and how I ended up where I am now. People like to hear inspirational stories of others so they can learn from people's mistakes & successes and follow similar paths to success. Well, my story is anything but traditional and not something I would exactly encourage other people to follow step-by-step. The first 20 years of my life is a very long, crazy, insane and sorted story. In a nutshell; I went to 6 different high schools and barely graduated at all. I failed 11th grade because I lived a block away from school and I would go to first period which was guitar and then I'd walk back home and go to sleep or cruise around town. So at the age of 20, when I finally got my life together I didn't have many career choices to pick from, especially since college wasn't really an option considering the grades I had. It was around this time that I met my girlfriend who is now my wife. I was heavily involved in the punk rock scene in South Florida and so her and I would make underground magazines (zines) using cut-and-paste methods and copy machines. As these progressed we started getting a little more technical with the advent of Macintosh computers that you could rent at Kinko's. So after a couple years of working on the Macs at Kinko's I really started getting interested in graphic design/printing and decided that's what I wanted to do for a living. So when we moved from South Florida to Atlanta I got a job at a printing company being the delivery driver and within a year I was managing the shop. We then moved to Orange County, California where I got a job at another printing company. It was there I met a guy who gave me my first break in graphic design. He hired me to design T-shirts, flyers and magazines for all of the concerts that he put on in southern California. The work was fun and I really grew and learned a lot in graphic design. Like I said before, I had never gone to college so I had to spend hours on end on the floor of Borders and Barnes & Noble studying everything I could about graphic design. I didn't want to be a hack; I wanted to make sure I was being true to the craft and doing things with excellence. After about two years in California we decided to move back east and chose Nashville. When we got here I found a good job at a software company doing graphic design. About a year into that job the amount of freelance design work I was doing was paying more then my job was, so I decided to quit my job and start my design company out of my house. Things went really well and about two years later I opened up an office off of the Franklin Square just outside of Nashville and hired two employees. The design firm did very well and 2003 was the best year ever had being self-employed. I was doing websites and print work for very large companies like ESPN, Fender, Purpose Driven, record labels, etc. During that time I had been doing some photography on the side for some of my clients. I never liked using stock photos, so whenever photography was needed for one of the projects I tried to shoot it myself. This led to a few purely photography jobs. Then one day I was vacationing with my wife and kids down in Seaside, Florida and I just had an epiphany. I looked around at the sun and the fresh air and realized that I was so tired of sitting behind a desk all the time doing my design. By this time I had moved my offices back home and my employees worked remotely from their homes. I was feeling very isolated and didn't get to be around people very much. Whenever I thought about doing my photography it always made me so happy. I loved being around people, shooting different things all the time. I enjoyed the lifestyle and the craft/art more than design. To be honest I was very burnt out on graphic design. I would be driving down the road looking at billboards and re-kerning the letters in my mind. I was so ready to be done with graphic design and jump head first into photography full-time. So at the peak of my success with the design firm I just shut it all down. I told all my clients I was getting out of design and would just be doing my photography full-time. It was a huge leap of faith and also a very stupid thing to do. I feel like sometimes being naïve is a great thing because you think you can do anything even if it makes no sense to anyone else. But with my wife's blessing behind me we did just that; we shut the design firm down and went straight into a full-time photography business. The good thing was that I had existing relationships with my design clients, so I got a lot of photo work off of them which most people starting a business wouldn't have. There's obviously a lot that I can mention in between starting a business and ending up where I am today. I'm not going to go into every decision I made and every single step that got me to where I am now. But I will say in order to be self-employed and stay self-employed for a number of years you have to live a fearless life. I don't have a formal education behind me, but what I do have is great instincts and a great sense of design and style. I don't think you can overestimate the importance of trusting your instincts and your decision making skills. Commercial photography is an art form that requires great people skills, decision-making skills and instincts. You also need to be able to see beauty everywhere, even in the smallest detail. I love what I do, I love Nashville and I love the people and clients I work with. I encourage everyone to follow their dreams and to not let fear get in the way of the next step. And even more importantly to not let fear get in the way of your art. Fear is the enemy of creativity. I know a lot of photographers are doing "Best Of" posts for the new year. It's always great to see those and look back on the previous year. I wanted to do something slightly different. Instead of doing a "Best Of" I thought I'd show some photos I took in 2014 that aren't on my site & most people have never seen before. I love what I get to do for a living and the people I get to do it with; every photo shoot is so different from each other. I'm really looking forward to what 2015 has in store. I love my clients; I really do. I get to work with a lot of great people and companies. 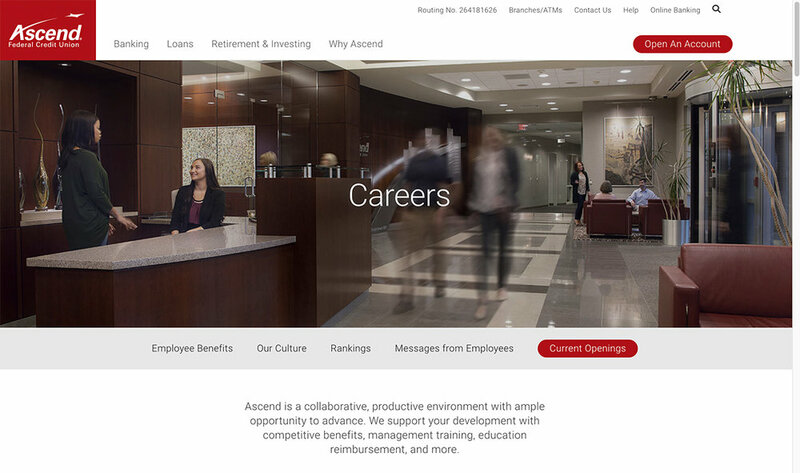 Banded is one such company that I enjoy working with. Banded is a Nashville based company that makes headbands that are step above all others. They are one size-fits-all that are non-slip, which makes them great for active lifestyles. They're sold all over the country and I'm regularly see them being worn all the time. I've done their photography for the last few years. Here's a few shots from some of those photo shoots. Since they're based in Nashville and so am I, we shot all of these photos in and around the Nashville area. From their site... BANDED™ headbands are the original no slip, automatically adjusting headbands that fits both children and adults. Our patent-pending design allows you to wear your BANDED™ headband all day long without getting a headache and prevents the headband from pinching or pulling your hair. Due to the soft velvet lining that keeps the headbands on, you will be able to focus on the day and not worry about looking in the mirror to adjust it. You can finally style it and forget about it. I don't blog about my photo shoots very often, but I'll be changing that soon to show some behind the scenes shots, photos and outtakes from various shoots. In the meantime, below are some photos from a few different independent artist shoots I've done. Besides the larger, more established musicians I shoot, I shoot a lot of unsigned and independent musicians for the artists themselves, management companies and smaller labels. I love these photos for several reasons, but one is that most of these photos were shot here in Nashville where musicians flock to either record, live or both. Nashville truly is Music City; a diverse collective of creative musicians that cross all genres. We are also home to some of the best songwriters, session players, recording studios, producers and engineers on the planet. I love shooting these less-established, up-and-coming musicians for various reasons. It's always fun to work more closely with the artist beforehand than I normally would on a bigger label shoot. It's also enjoyable to see the early formations of people's careers before they hit the big time. I feel a sense of pride when I see them become exposed to bigger and bigger audiences over time, knowing that I played a part in helping to shape their image. Music has always been one of my greatest passions. I've been in bands, managed a band for 4 years and photograph musicians all the time. I know the music business very well and I know what the industry wants when it comes to an artists image. To be able to combine my love of photography with music is such a joy to me as an artist. The music industry has changed so much in the last 10 years. I've been there in the thick of it ebbing and flowing with both the positive and negative effects. Despite what some see as a crisis in the music business; there has never been a better time to be an independent artist. The Internet, social media and the lower costs of producing photos and videos has opened doors to reach new fans that were almost impossible just a few years ago. As the industry continues to change I love being there, documenting it and helping the next generation of musicians shape their image. So enjoy these photos of up-and-coming artists who you may or may not have ever heard of...yet. Many people don't realize that my Wife Samantha Bean is also a very talented Nashville photographer as well. We actually both started shooting at about the same time. When we bought our first home we found one that had a darkroom built into it by the original owners and she used it like crazy. About a year later Canon started making digital cameras that were as good as film and we both switched over. Since then Samantha has been shooting amazing portrait and lifestyle photography and has become a Nashville favorite for families, bloggers, small companies, musicians and others who want a very intimate and personal photo shoot. Her approach is simply to document people as they are in the moment. She captures a slice of someone's life in a way that makes you feel like you're in the same room as the photo is being taken. For Sam her lifestyle photography is all about showing people as they are; not as they pretend to be.